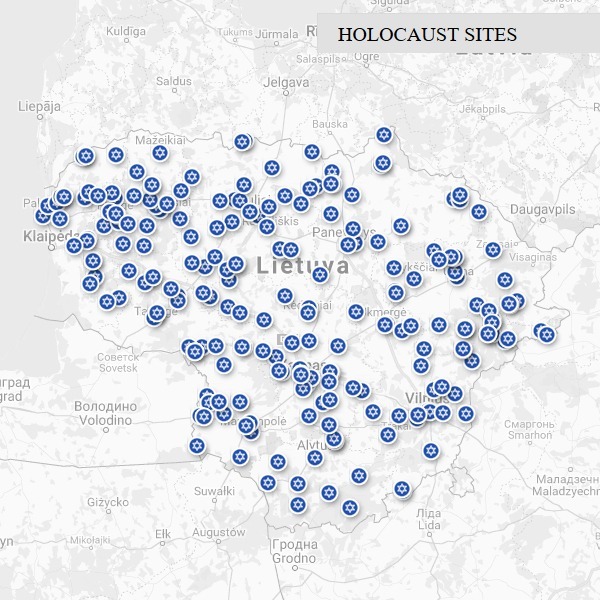 In 2010, Vilna Gaon State Jewish Museum together with Austrian Holocaust Memorial Service Gedenkdienst initiated the Atlas of Holocaust in Lithuania, which provides detailed information about mass murder sites in the Lithuanian territory. The Atlas is continuously updated in cooperation with municipalities of 40 Lithuanian towns, regional museums and the Cultural Heritage Department under the Ministry of Culture. Feel free to explore the Atlas at www.holocaustatlas.lt/EN/.